Assistant Coach Recruitment: Hey CFB parent/guardian! Are you a runner? Do you enjoy spreading the love of running? We'll be reaching out to you soon about helping our coaches with the Junior Running Club crew! 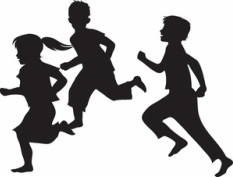 Junior Running Club Seasons: This year, we will offer two opportunities to join the running club. You may sign up for either the fall or spring running team. The running crew will be limited to 30 students per season. Smaller groups don't only increase safety, but also permit better coaching (and therefor better runners). Dates to be determined. Make running a fun part of the day. Make it a family activity. Read about the benefits of running. Attend a 5k and cheer on the runners. Enter a 5k and run it as a family. Don't worry about placing! Just enjoy it! Check this website often for updates. Fill out the form to let us know that you're interested. My child is interested in joining the Junior Running Club. The group is limited to 30 students. Indicate that you're interested in assistant coaching or would like your child to join the JRC in the comment section.